As we work backwards towards present day, our five-year Following Freeware anniversary extravaganza reaches 2013-2014. For those joining in late, be sure to check out our Year One, Year Two, and Year Three recaps to get up to speed. The Ace Attorney series has allowed players to be courtroom dynamos, though not in any courtroom I’d ever like to end up in for real. Socrates Jones: Pro Philosopher takes the essential mechanics of those games but applies them to an entirely different arena. When a salesman comes calling, Socrates almost finds himself convinced by the pitch. Fortunately, his daughter is a philosophy student who teaches him the basics of philosophical debate to challenge this man’s assertions. This tutorial leaves her late for school, so the pair drive off at speed. A subsequent accident propels them into the afterlife in the form of the Intelligible Realm, last resting place of philosophers. The rest of the game has you debating with famous philosophers from the past on the nature of morality. All of the opposing characters are real, though having actually heard of Euthypro of Athens or Immanuel Kant is not vital for play. The debates are both witty and thought-provoking, as each tries to convince you that their view on the matter is the correct one. 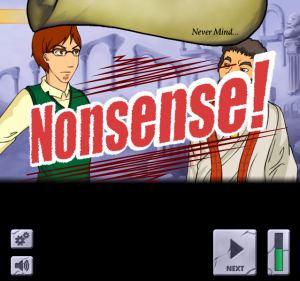 Phoenix Wright’s famous cry of “Objection!” is replaced here by “Nonsense!” but you will need to probe arguments carefully before you can make this outburst. Whilst the gameplay is clearly not original, its application is perfect in one of the few medium-length games I felt compelled to play through to its conclusion. You can cry “Nonsense!” and prove your debating credentials online over on Kongregate. Often when putting the Following Freeware articles together I find games that I think are worth sharing but don’t fit the criteria. Usually, if they at least have some relevance, these will appear as one-line descriptions in the “Other games” section at the end. Less often I will do a full write-up, but put them lower in the article, so as not to overshadow more traditional adventures released that month. Such was the case with The House, a game with a beautiful artistic style but probably too abstract to be considered a proper adventure. You play a featureless character, trapped in a bizarre house. 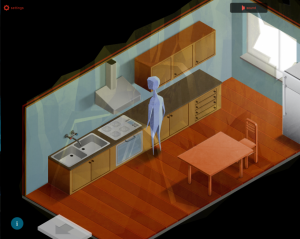 The graphics are rendered in a high-resolution isometric style, with the strangeness of the character model at odds with the realism of the house contents. Not that the house is entirely normal, apparently floating in thin air and containing an aquarium that allows you to step directly into it. The puzzles are well thought out and extremely satisfying to solve, with only the overly abstract nature of the story keeping it out of a more prominent article spot. Yet two years later, this is the one that sticks with me as being the most notable release of that month. If you fancy exploring an extremely peculiar house, it can be found online over at Newgrounds. It is always a lot easier to get into a game if the player character has a clear goal from the outset. You could be a young man who wants to be a mighty pirate, an archaeologist seeking a lost treasure, or a reaper aiming to meet quota. 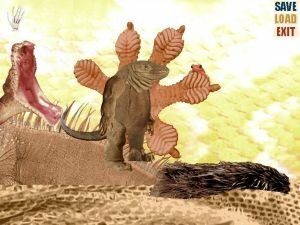 In Monty the Komodo Dragon, the lead character just wants to provide food for his family. This is probably the most normal thing about the game, however, with almost every other aspect being decidedly surreal. The graphics are done in a photomontage style, and some unusual elements have been chosen. The sun up in the sky is an egg, and the body of water Monty must cross is made up of earthworms. Indeed, Monty himself walks on two legs rather than the more normal four a Komodo dragon uses. Conversations with his family are in the form of picture bubbles. Their abrupt nature, and the harshness of the hissing that backs up this “speech”, implies Monty is somewhat put upon. Fans of serious of adventures should steer clear but if, like me, you enjoy delving into the surreal once in a while then this is a game for you. You too can search for food on a sea of worms by taking a trip over to the AGS database. As a general rule, we don’t cover visual novels in our monthly round-ups. The main reason for this is that player interactivity is normally very limited. You read a big chunk of text and are then given a single decision that will nudge the story a bit. At first sight, The Loop looked like it would be just another linear visual novel. However, Gliese Productions saw that the programming language used in the Ren’Py engine allowed something much more complex and capitalised on the opportunity. The result is a nightmarish tale of a demonic clown with whom you seem to be trapped in a series of dream-like loops. 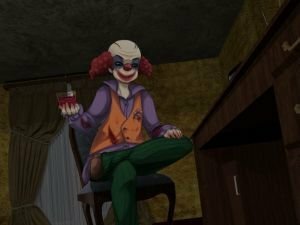 This is not a game for the faint-hearted, as the clown is a truly disturbing foe. You will also need a modicum of dexterity, as there are a couple of sections where the clown pursues you and only by acting quickly can you hope to progress. In these scenarios, the ability to backtrack and repeat actions when necessary further sets it apart from the normal visual novel. Death leads to a reset of the loop, though knowledge from previous loops allows you to progress faster. The story proves pleasingly complex as well, with the motivations of your antagonist being revealed over the course of the game. Be sure to take some notes as you go along, as you will need to demonstrate knowledge of what is going on to advance to the final scenes. If you want to see something different done within the visual novel format, you can download this game from the developer’s website. 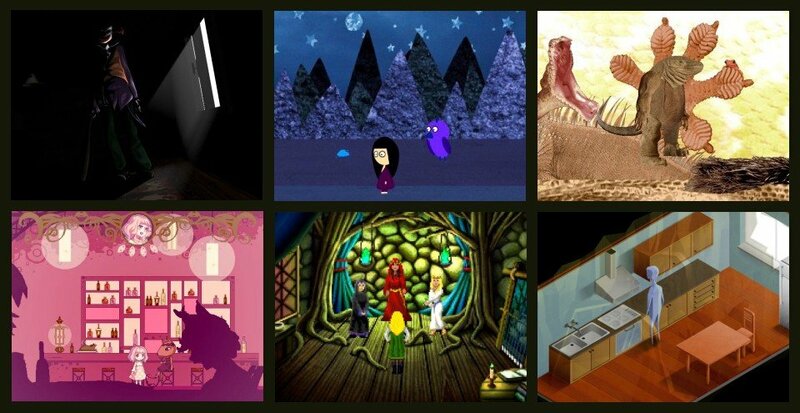 A number of good freeware developers go on to develop commercial games. I grumble good-naturedly about this, bemoaning the fact that I won’t have their games to enjoy for future articles. In reality I am pleased when those who have demonstrated such skill in freeware go on to make a living from that ability. 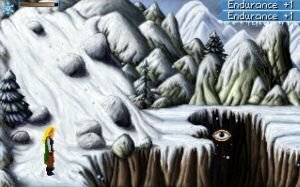 Then I come across a game like Heroine’s Quest: The Herald of Ragnarok and I question why the developers are not already making a living from their work. When the imminent release of the game was announced at Adventure X 2013, I found I wasn’t the only one. When asked how much they were selling it for, the answer that it was free was met with stunned silence. This is a truly epic adventure-RPG hybrid, made in the style of the classic Quest for Glory games. You start off as a weak character, having lost all your equipment and almost your life in an avalanche. Neither the avalanche nor the particularly heavy winter that has befallen the area are simple acts of nature. Dark forces are at work, and you must travel across many realms to thwart them. The production values are stunning. Every character is voiced, and they all have full personalities and lives independent of your actions. There is also a full orchestral soundtrack which changes according to your locale and other events. The game isn’t satisfied with just having its grand story based around one hero. Three character options are available, each offering its own style of play, and there are even side quests to take on. It’s not a pure adventure due to the unavoidable combat element, though the difficulty of this can be scaled up and down as desired. Despite the surprised reaction it elicits, this game continues to be available for free. Grab it from one of the links on the developer’s website before they change their mind. Demos are, by their very nature, free. Usually they are just a small part of the full game, however, and therefore don’t work on their own. Ossuary: The Hodge-Podge Transformer is an exception to this rule. 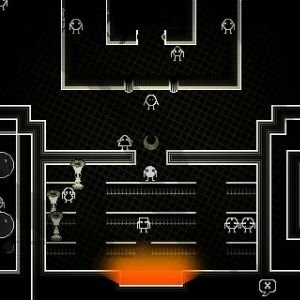 Whilst it serves very effectively in conveying the look and feel of the full Ossuary, it is also a legitimate adventure in its own right. In this game you enter a strange philosophical world that provides interesting challenges for those willing to grasp its weird logic. Trapped in a peculiar dimension, your only means of escape is activating the eponymous Transformer. Acquiring all the necessary elements to do so is your quest. This is certainly not the prettiest of games, adopting a black and white colour scheme and simple line-drawn graphics for most things. But with just enough detail to recognise important items and varied character portraits for conversations, this simple style actually proves quite effective. Despite having a relatively small area to work in, a large number of puzzles are crammed into it. With five major elements to find in order to progress to your intended destination (the setting of the full commercial game), there is a lot more to do here than in most demos. Should you wish to enter the Transformer yourself, you can do so over at the developer’s website. I’ve really enjoyed these reviews and am happy to have a chance to revisit some of these games.